Buy: $39.99 Original 30mm Inert Russian Anti Aircraft Round, Artillery Projectile. Buy: $105.96 US M65 Fishtail Extreme Cold Weather Parka size Medium Green Shell Unissued! $3.25 (3 bids) 1970s/1980s? US ARMY PATCH-Marne Vipers Attack Helicopter? ORIGINAL BEAUTY! 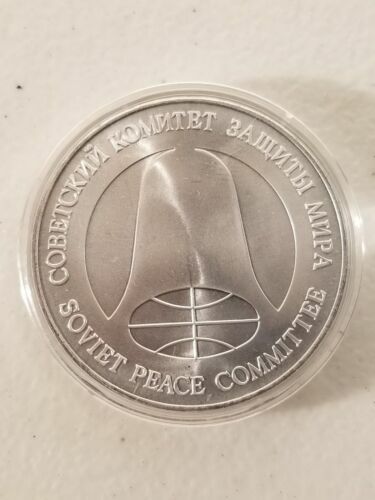 $45.0 (9 bids) 1990s BOSNIA? US AIR FORCE PATCH-510th Fighter Squadron-BUZZARDS-ORIGINAL USAF! $59.99 (2 bids) Vtg 70s M-65 Field Jacket w/Hood OG 107 Coat Cold Weather Apha Size Large Reg. $160.0 (5 bids) East German paratrooper vest RARE. Cold War, German size m52. Large. $20.0 US Military Field Combat ALICE Pack LC-1 Medium, No Frame. $41.0 U.S. ARMY M-4 HELMET 1980'S ERA "NAMED"